Good Messengers Ministries of Northwest Indiana has compiled a list of recommended resources (books, tracts & articles) that we KNOW are Biblical in their writing. We also have a "Media" page for additional audio and video to learn by. Some of the books below are evangelistic, some are apologetic, and some are theology based. All of the resources will help you to sharpen yourself when learning how to share your faith. refresh yourself with the teaching. While using the prayer station you may want to print out these contact forms. These are great for follow up for those with whom you have prayed and shared Christ with. Are you not sure what to do at a prayer station. Well this three page handout will give you some ideas of how a prayer station works. You may also want to check out Good Messengers Ministries Prayer Station Training Page for more information. You may want to print out several of these Prayer Station Flyers to hand out to people while working at the prayer station. This flyer talks about the importance of prayer. How God answers prayers and it also directs people to www.GotOurTract.com website to get a more detailed gospel message. A gospel tract and Psalm 51 is also printed on the back of this flyer. Print-Out The "Good Outweighs your Bad Survey Form"
The Good Person Test with this cover is our most popular survey to be printed out by our members. This survey is a great resource for talking with people and using WDJD and CCRAFT Biblical principles when witnessing to others. You can also give them the survey when you are completed. 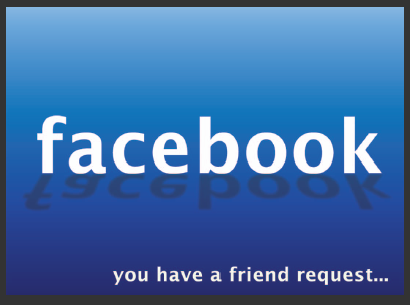 There are two locations that direct the person to www.GotOurTract.com for a more detailed gospel message. There is also a gospel on the back of the survey with Psalm 51 as a repentant prayer. These are also great if you are on a tight budget...you can just print them from home. 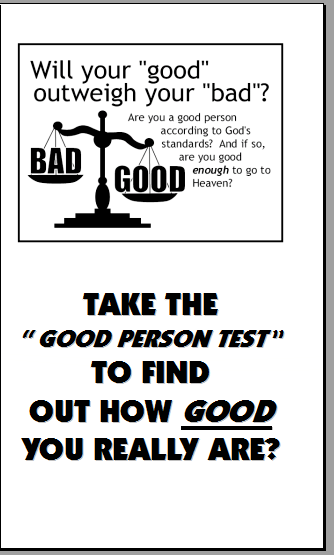 Print-Out The "Good Person Test in Survey Form"
The Good Person Test is a great resource for talking with people and using WDJD and CCRAFT Biblical principles when witnessing to others. You can also give them the survey when you are completed. There are two locations that direct the person to www.GotOurTract.com for a more detailed gospel message. There is also a gospel on the back of the survey with Psalm 51 as a repentant prayer. These are also great if you are on a tight budget...you can just print them from home. This printable survey also goes well with a matching banner that you can order by Clicking Here. Print-Out "Spiritual 10 Commandments Survey"
This Spirtual Survey of the 10 Commandments is a great resource for talking with people and using WDJD and CCRAFT Biblical principles when witnessing to others. You can also give them the survey when you are completed. There are two locations that direct the person to www.GotOurTract.com for a more detailed gospel message. There is also a gospel on the back of the survey with Psalm 51 as a repentant prayer. These are also great if you are on a tight budget...you can just print them from home. The Santa Naughty or Nice "Good Person" Test asks the question, "If Santa used the 10 Commandments as his standard of naughty or nice...how would you do?" This survey is perfect for around the Christmas holiday. You can also give them the survey when you are completed. There are two locations that direct the person to www.GotOurTract.com for a more detailed gospel message. There is also a gospel on the back of the survey with Psalm 51 as a repentant prayer. These are also great if you are on a tight budget...you can just print them from home. 1. Purchase Obama tract from Living Waters (also will work with celebrity million tracts). 2. Download .doc file with www.GotOurTract.com to be printed on back of bill. 3. Put Obama bills in printer to the right side of printer with Obama facing up and his "tie" to the left. 4. Side paper-glide over to hold bills in place while printing, and begin printing. 5. Finished bill tracts should look like this....click here to see sample. Start thinking of creative ways to share the gospel message. One way is to put our Gospel website www.GotOurTract.com on your vehicle. You can have these decals printed out at the mall, or often can find companies that print these out inexpensively at fairs & fests. Look at it as a mobile tract. Placing these decals on the windows of your car will allow them to be removed easily without damage to your vehicle. You can also have the website address printed on a magnet that can be placed anywhere without damaging your vehicle. Again think of creative ways to get the gospel message out. Click on Photos to see larger size pic. 1. Download & Save the tract of your choice. 2. Send email to Marv Plementosh @ marv@onemilliontracts.com for quote. judge you by His standard of goodness, would you be innocent or guilty? Trading Card Size: | DOWN LOAD Here: What If? Commandments (His standard of goodness), would you be innocent or guilty? that you would read everyday? Visit: wwwGotOurTract.com for more information. 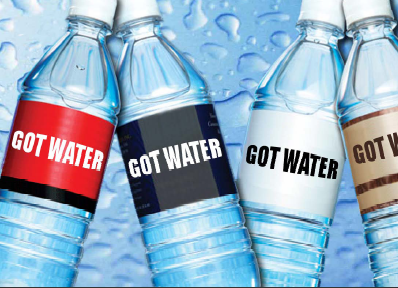 Why give free water: to serve as an example after our Lord and Savior Jesus Christ. hatred as murder (Matt 5:20-30). On judgment day, will you be innocent or guilty? command? He says do not steal, lie, murder, or commit adultery (Matt 19:17). Lord and He will truly be your friend! Visit www.GotOurTract.com for more info. 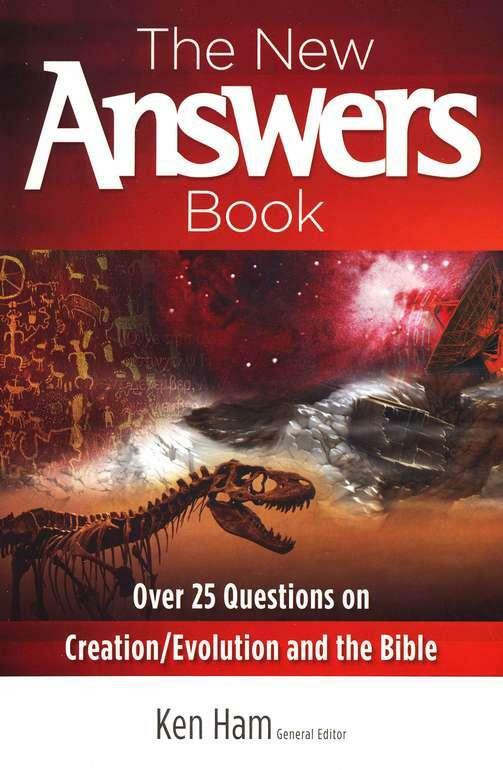 People complain about The NEW Answers Book. They say that its so good at giving short, substantive answers that they want more. Well, we listened! 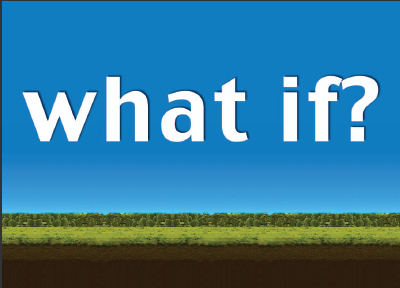 In The NEW Answers Book 2 youll find 31 more great answers to big questions for the Christian life. Many view the original NEW Answers Book as an essential tool for modern discipleship. Both of these books answer such questions as: Can natural processes explain the origin of life? Can creationists be real scientists? Where did Cain get his wife? Is evolution a religion? and more! Our theories concerning what is effective evangelism must be evaluated, not by what is popular today, but by the model that God gave us in the New Testament. In this brief study, we will discover that the primary method of witnessing in the New Testament was "contact evangelism" -- evangelism done for the purpose of engaging unbelieving strangers with the gospel. The goal of this booklet is to encourage churches and individuals to reconsider contact evangelism as a serious model of evangelistic ministry. Ashamed of the Gospel bears a message the church just can't ignore: that we dare not be ashamed of communicating the convicting message of the Gospel. That we dare not candy coat it. Or make the church so user-friendly that the preaching of God's Word is compromised. MacArthur reminds today's church of the inevitable spiritual consequences if Christians continue to compromise biblical doctrine and the preaching of the Gospel. This masterful work challenges the church to return to the roots of the Great Commission and encourages a steadfast preaching of the Word of God. Contrary to popular opinion, the existence of God can be proven - absolutely, scientifically, without reference to faith or even the Bible. It is also possible to prove that the Bible is supernatural in origin. This book will do just that. It will also show the atheist that he doesn't exist, reveal the true motives of the agnostic, and strengthen the faith of the believer. An evangelist's duties are many: preparation, prayer, community and actual evangelism are but a few. Apologetics, while in the strictest definiton not evangelism itself, is nonetheless instrumental in an apologist's performance of his Great Commission. While both gauging the sinner's attitude toward the Gospel and gently leading him into the Law, Christians need to be able to defend attacks - both overt and accidental - on that Gospel. Here we find the realm of apologetics, the defense of the Faith. Ravi Zacharias is an apologeticist's apologeticist, speaking to audiences around the world while reaching others by radio, television and with his many books. Here he offers both his own writings and the writings of others who have been or are currently involved with his ministry RZIM, and the ground covered in these pages ranges widely, from the challenge of other religions to questions posed by the irreligious. Ravi himself contributes articles addressing evil and suffering as well as how churches should engage their congregations in apologetical instruction. 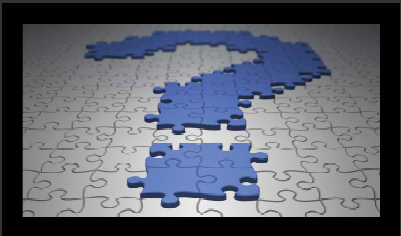 Going past mere lists of answers to questions from the lost, this book will inspire you to active evangelism with the use of the principles provided. Discover the origin of people groups (there is only one race), the genetics of skin color, and biblical truths on "interracial" marriage. This fascinating new book explores racism and its roots in the hearts and minds of millions. Most people do not realize how intimately connected the popular idea of evolution and the worst racist ideology in history are. Ken Ham and Dr. Charles Ware reveal the compelling history of the effect of an evolution-based belief system on the history of the United States, including slavery, the civil rights movement, and abortion. They go beyond politically-correct speech to show the tragic global harvest of death and tragedy which stems from Darwins controversial beliefs. A compassionate and uniquely convincing book! Evangelism shouldn't be an impromptu event, cropping up only infrequently - and awkwardly even then - and timidly supportive of any inclination to religion or spirituality that the other person holds. As Christians, this should be an appalling representation of our Great Commission. Christians should be bold about the Gospel with other Christians as well as sinners, praying and planning and working together to bring the Gospel more into our lives as well as the lives of those around us. In The Gospel & Personal Evangelism Mark Dever has written a book, both instructive and encouraging, for all Christians in the same spirit that he motivates us to move towards. What did Jesus mean when he said, "Follow me"? In this 20th anniversary edition of his classic work, MacArthur warns against "easy believism," explains his understanding of biblical faith and works, emphasizes the cost of discipleship, and reinforces his conviction that there's no eternal life without surrender to the lordship of Christ. Includes a new chapter! 320 pages, hardcover from Zondervan. 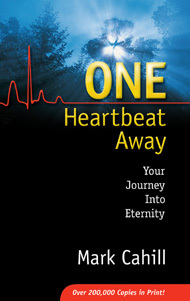 Discover the crucial key needed to unlock the unbeliever's heart. If you are experiencing evangelical frustration over lost souls, unrepentant sinners, and backslidden "believers," then look no further. This radical approach could be the missing dimension needed to win our generation to Christ. Paperback, 285 pages. Whitaker House. How many souls have you wont to Christ? How many are still walking with the Lord? All? Some? A Few? The facts are: Evangelical success is at an all time low. We're producing more backsliders than true converts. The fall away rate - from large crusades to local churches is between 80 to 90 percent. Why are so many unbelievers turning away from the message of the Gospel? Doesn't the Bible tell us how to bring sinners to true repentance? If so, where have we missed it? The answer may surprise you. How would you describe your personal Bible study? Mundane or motivational? Lackluster or lively? Redundant or reviving? Howard and Bill Hendricks offer a practical 3-step process that will help you master simple yet effective inductive methods of observation, interpretation, and application that will make all the difference in your time with God's Word! Someone you know is about to pass away. Will they enter delight? Or horror? Many people spend more time planning for a vacation than preparing for eternity. Perhaps it doesn't seem real that we will still exist - fully conscious and alive - beyond the grave. But it's true, and it calls for careful consideration. Sin, regeneration, justification by Christ's righteousness, the cross and the love of God, assurance of salvation--these are the truths that once thrilled churches and changed nations. They are the message that "turned the world upside down". Yet where evangelism continues to affirm these truths, without such results, it is often assumed that she must have new needs that cannot be met without something new. Hence the call for change, and such words as "mere doctrine is not enough". These addresses by Lain Murray challenge that mindset. He shows that biblical truths are never "mere". Where they have ceased to move and astonish it is because they have ceased to be rightly believed. Doctrinal recovery is the first need. While the Bible, not history, is the textbook in these pages, Murray draws on the best authors of the old evangelism to confirm what a stupendous message the gospel truly is. Here are the fundamental, life-changing truths that will remain the power of God unto salvation to the end of time. Are you ready for eternity? If so, are you helping others get ready for that journey into eternity that each of us must take? As believers, we all know we should tell others about the Lord, but we often don't know how. This practical book will give you ideas for starting conversations, examples of witnessing situations, and answers to common questions, to help encourage, challenge, and equip you to reach both friends and strangers for Jesus the rest of your life! 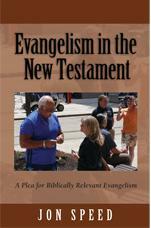 You can purchase this book and more direct from Mark Cahill Ministries by Clicking Here. People have asked Mark Cahill, since he talks to a lot of people and does a lot of witnessing, to write a book based on his conversations with lost people, specifically to those who are seeking and searchinga book that would anticipate their questions and speak to their objections. One Heartbeat Away is exactly that. God's Irrefutable Laws For Life points out that people may be increasingly interested in religion, but they are decreasingly interested in anything that refers to the one true God who makes non-negotiable demands upon them. This book stresses the point that the essence of idolatry is the entertainment of thoughts about God that are unworthy of Him. Not only with the worship of false gods but also the worship of the true God in false ways. One of America's most respected Bible teachers offers new insight into Jesus' parable of the prodigal son! MacArthur restores brilliance to the familiar Luke 15 passage about our sin and repentance---and God's mercy and love. Uncovering intriguing historical cultural details, he unveils an unexpected ending to a story you thought had no surprises left! 240 pages, hardcover from Nelson. Right now, Truth is under attack, and much is at stake. In a postmodern culture, Christians are caught in the crossfire of alternative Christian histories, emerging faulty texts, and a cultural push to eliminate absolute Truth altogether. As a result, many churches and Christians have been deceived. Worse still, they propagate the deception that poses itself as Truth! In The Truth War, John MacArthur reclaims the unwavering certainty of God's Truth and anchors Christians in the eternal, immovable promises found in His Word. The Way of the Master is the flagship work of Ray CThe Way of the Mastersion program as well as their radio show and website. Considered by many to be the definitive text on evangelism, this book has been updated, expanded and illustrated with photographs for this edition. It is anecdotal, loaded with commentary that is more conversational than academic. It's an easy read with a hard message that has already changed the face of sharing faith. Includes complimentary audio CD, "Hell's Best Kept Secret".